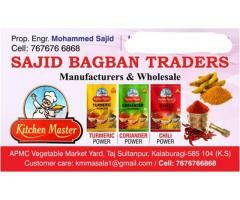 looking for labor or helper for packing spices pouches. 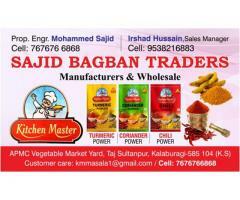 if interested call me 7676766868 SAJID BAGBAN TRADERS Manufacturer of KITCHEN MASTER BRAND spices. 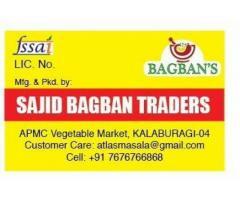 APMC VEGETABLE MARKET YARD, TAJ SULTANPUR ROAD, KALABURGI. Job Opportunities Gulbarga (Gulbarga) August 8, 2017 6,000.00 Rs. Job Opportunities Shahabad (Gulbarga) May 9, 2017 600.00 Rs. Job Opportunities Afzalpur (Gulbarga) April 28, 2017 3,500.00 Rs. Job Opportunities Chincholi (Gulbarga) April 10, 2017 3,500.00 Rs. Job Opportunities Aland (Gulbarga) January 5, 2017 1.00 Rs. Job Opportunities Gulbarga September 16, 2015 10,000.00 Rs.